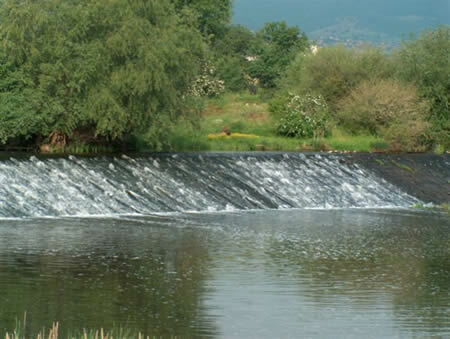 A lot of material from the river is situated near the village. This explains all the rocks and stones on the banks of Chepinska River. There is an abandoned quarry for limestone in the village. It is situated right at the foothill of Golak hill. In the past there were also two small factories for plaster here. The climate of the village is unique. Thanks to the location of Vetren dol at the foothill of Rhodopean Mountains and in the Thracian plane the weather is fine here. The spring is cool and the summer is warm with hot days in July and August only. The winter is mild. Very rarely there are fogs, frosts and mists here. This is due to the local wind, which comes down the gorge of Chepinska River. It occurs twice a day 2 hours after sunrise and 2 hours before sunset. This fact makes the air in the village fresh and clean. Vetren dol has the rare chance to be wealthy of water due to the Chepinska River. Above the village flow other rivers-channels: Iakaark or Kraishka River, which surrounds the village south and flows towards the village of Liahovo; Ortaark or Sredna River, which flows north east towards the village of Bratanica, where it wears the name Goliama River. From Ortaark north of the village comes the river Pulchovark, which flows towards the village of Lozen. The wealth ness of water in these rivers allowed the turning of the water mills in the past. There were 8 water mills on Ortaark and 2 on Iakaark River. Vetren dol was the biggest water mill village in Pazardjik district in the 18-th century. Those channels were also watering the agricultural land of the village and the other villages as well. It is not the Chepinska River, which gives water to the village only, but Vrashtika River coming down the hill supplies the village. Nowadays there are pumps for the drinking water and a big channel "Aleko-Potoka" for the agricultural land. There are no cold springs in the vicinity of Vetren dol. That is why the people in the past used 6 wells in the village. 1936 the wells were abandoned and a new water supply from the Vrashtika River was made. In the Chepinska River gorge there is a hot spring -64 degrees Celsius. It is used for curing diseases like: gout, diabetes, hemorrhoids, catarrh and others. Two public spa baths were built on both banks of the river: southeast one belongs to Vetren dol and the northwest one to Varvara. There is a pipe, which carries the mineral water through the villages of Varvara, Vetren dol, Bratanica and ends in Pazardjik for usage in the Public mineral baths in the city. The soils in Vetren dol are alluvial near the river and maroon and brown forest soils. The soil in the village has a lot of pebbles and stones. In the ridge Karkaria there are more broad- leaved woods like oak tree, beech tree, hornbeam, lime-tree and others and coniferous woods like fir-tree, spruce and juniper. There are very interesting botanical bushes on the bare limestone hill Golak. The village is also famous for its poplars trees. 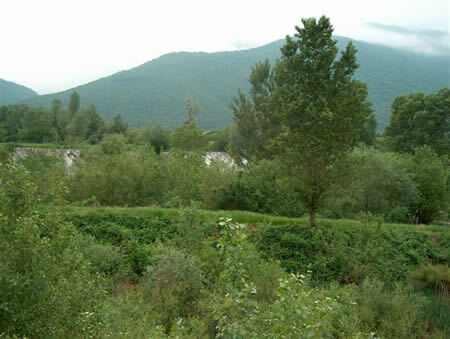 The total forest territory of the village is 12 500 decares from 15 000 in the past. There is a cherry tree massif called Batalite on a territory of 500 decares, which is also a villa zone with about 70 villas.